The casement is hinged on the top and bottom and it opens like a door. This provides superior ventilation, easy cleaning from the interior and excellent energy savings. 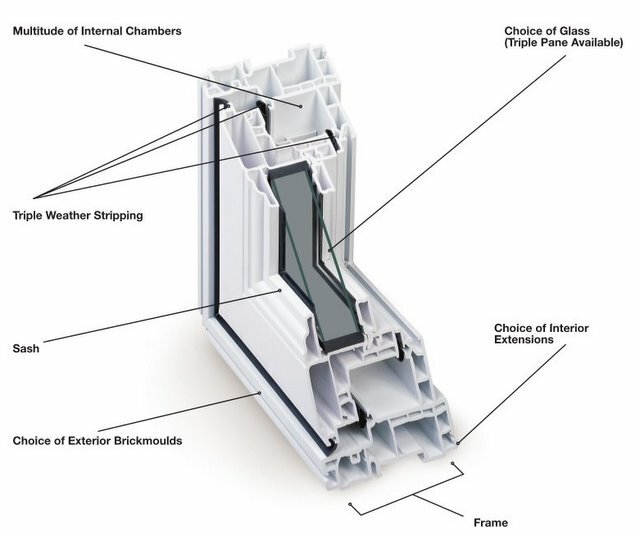 In fact the casement is the most energy efficient of all the ventilating style windows. Casement windows are models of contemporary style and convenience. They feature one hinged sash that swings out, welcoming the breeze in. Most common in newer homes, casement windows are coveted for their clean, uncluttered views and effortless operation. 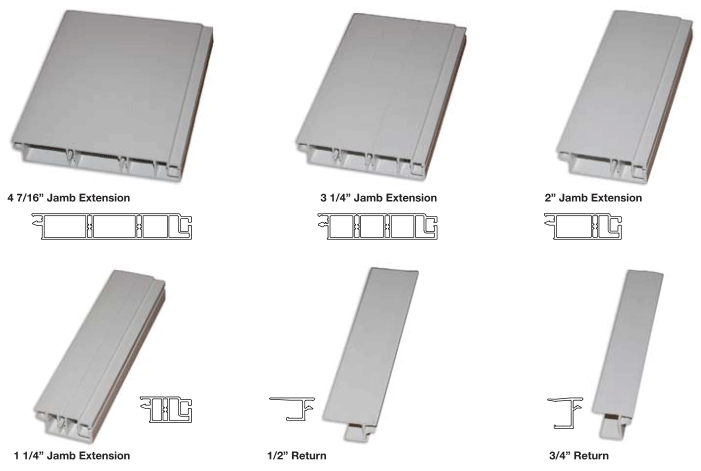 Frame depth : Two frame depths are available (3¼" and 4 9/16") to accommodate all construction needs. The deeper that windows are set into the walls of a home, the more protected they are from bad weather, maximizing energy efficiency. 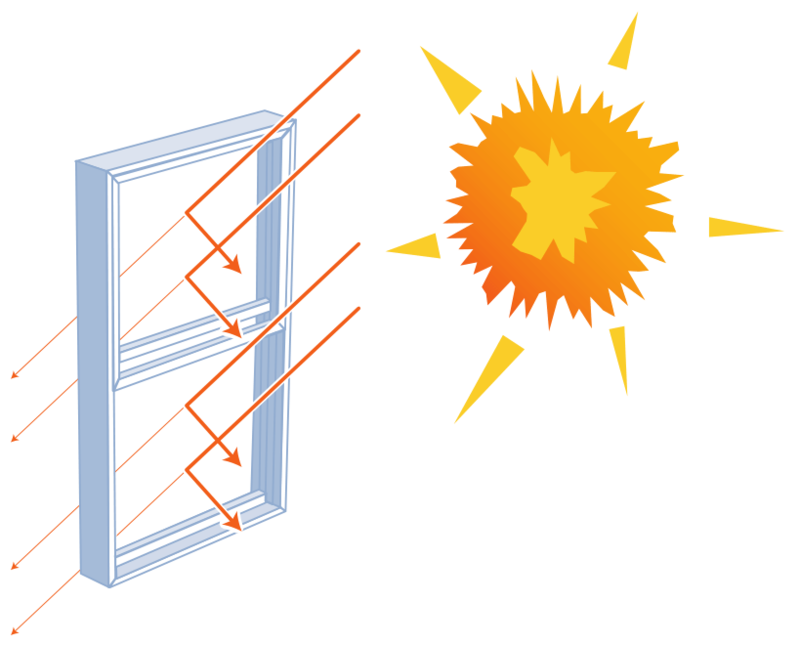 Insulation : These windows have triple weatherstripping for maximum airtightness. Glazing : Various types of glass (simple, double, or triple) and glass thickness (⅜" to 1⅜") can be used, depending on your budget and specific energy efficiency needs. Accessories : Frames may include grooves into which various accessories can be inserted, such as exterior brickmolds and interior jamb extensions, trim, and rosettes. Frames with integrated brickmolds are also available. They not only maximize the look of windows at the front of your home, they also ensure better water resistance and help reduce installation time. If no accessories are desired, a solid frame finish is also available. Style : Various options allow you to adapt the style of these windows to your home, including a stylized exterior sash, authentic interior wood molding, and a bevel sash. Security : Casement and awning windows provide the resistance required against break-ins. These models are so strong that they were the first all-PVC windows of their kind to successfully pass the hurricane- and violent impact–resistance tests of Dade County, Florida.